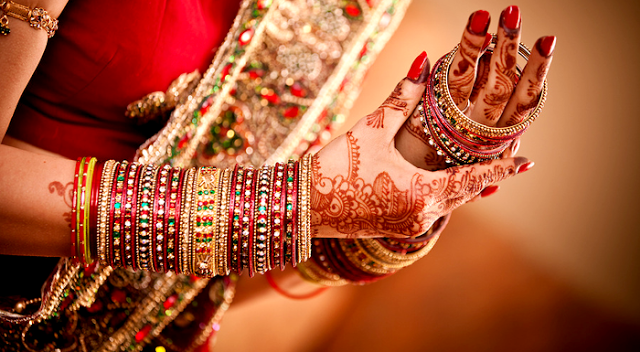 Can we really imagine an Indian wedding without those gorgeous red, green and golden bangles? We really cannot as red bangles are an inseparable part of a bridal attire in the Hindu tradition. With the arrival of wedding day we find ourselves engaged in lots of work that ranges from selecting the wedding venue to selecting the bridal look. So we really need some assistance and guidance during our wedding. Take for instance the case of bridal bangles which need to be attractive and matched well with the wedding dress that we opt to wear on our wedding. But due to paucity of time we seldom get any time for the same.